2. Email us the serial code and hardware id obtained from step 1 with subject "Manual register code required". 3. 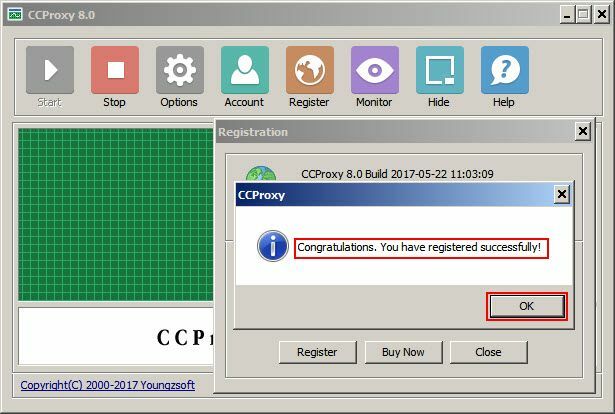 After we receive the serial code and the hardware id in email, we will send you an email containing the Register code for CCProxy. 4. 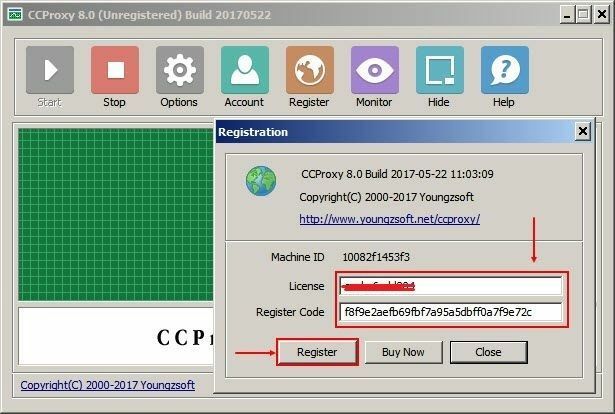 Once received, open "Register window" and put the two codes, Serial code and register code (from email) in the respective box, then click "OK" to register the license (Figure 2). 5. 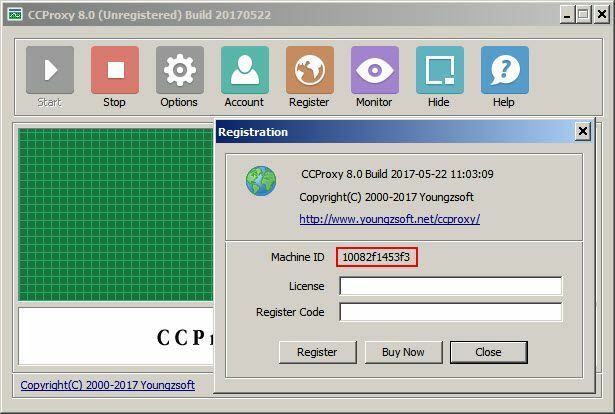 It will show "Register OK", informing the license is registerd successfully (Figure 3). Get the "Control Service Startup Error"